Join Pioneer Works staff, artists-in-residence, and friends in our garden for lunch. Each event spotlights a local chef or culinary organization. This month’s lunch features chefs Eli and Max Sussman. 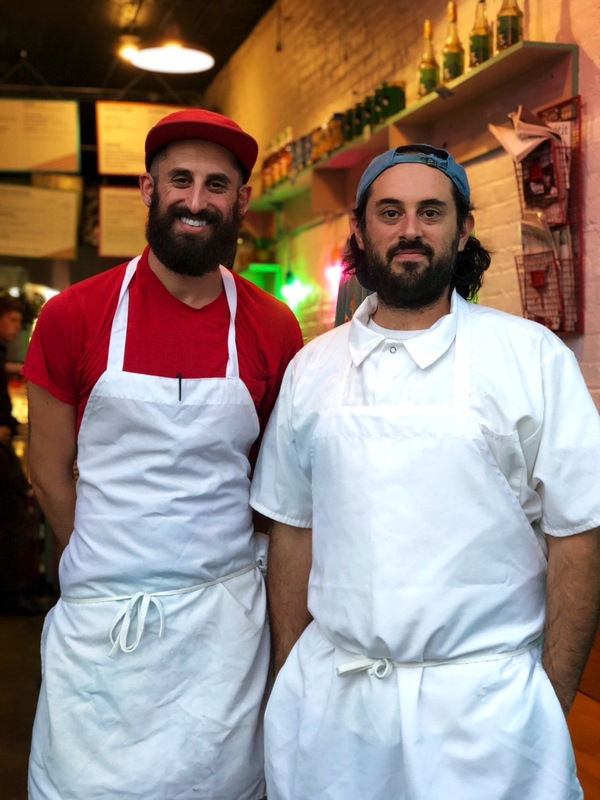 Eli and Max Sussman are co-chef/owners of Samesa Restaurant & Catering in Williamsburg and the Samesa located inside Grimm Ales in Bushwick. Max was previously the chef at Roberta’s pizza when the restaurant received 2 stars in a glowing New York Times review. Eli was previously the Executive Chef of Mile End Deli where it was a fixture on Eater‘s NYC 38 list. Both brothers were nominated for the James Beard Rising Star Chef Award and were selected as 2012 Zagat NYC’s “30 under 30.” Together they have co-authored 4 cookbooks and have appeared on the Today Show multiple times. Their writing and recipes have been featured in SAVEUR, Food & Wine, and Bon Appetit. Samesa supports Housing Works, local neighborhood schools, BLACK LIVES MATTER, and is a Sanctuary restaurant committed to a zero tolerance workplace free of sexism, racism, and xenophobia. Samesa is an employment partner of GET OUT STAY OUT and Hot Bread Kitchen. Samesa was chosen partly based on its responsible business practices and community engagement from amongst dozens of applicants to be a new vendor at the re-opening Essex Market on the Lower East Side in 2019.